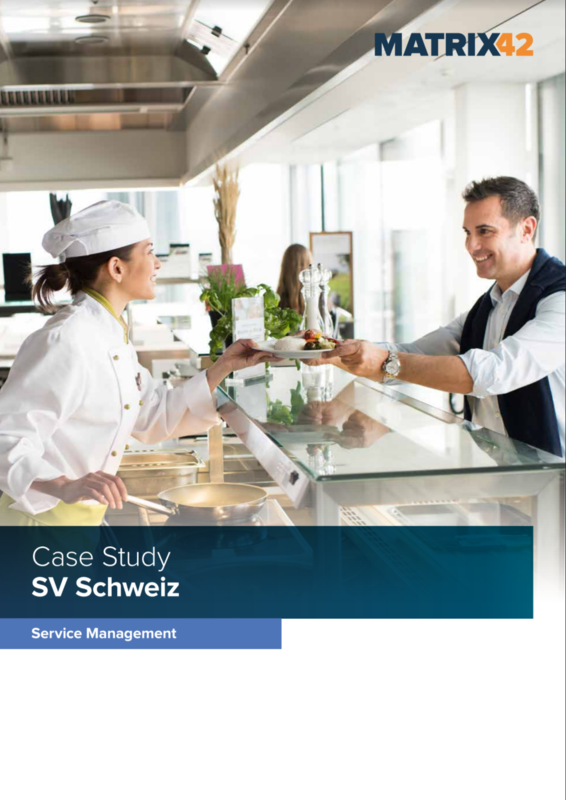 The SV Group, an innovative catering and hotel management group, employs around 5,500 people in Switzerland and manages around 320 operations. SV Switzerland's HR Services department needed an HR Service Management solution to automate all administrative HR processes. Instead of purchasing a new system, SV Group relied on Matrix42 Service Management, which is already in use, to standardize HR processes and significantly increase the speed of order processing. great productivity improvements could be achieved, among other things, through the elimination of manual and time-consuming administration tasks.